As temperatures dip and leaves change color, it’s time to transition the hues in your home to some of the latest fall colors. When revamping your interiors for the season, nothing has quite as much visual impact—or gets you the biggest bang for your buck—than switching up your paint color. Whether it's a bold accent wall or a complete makeover, a fresh coat of paint in one of fall's top hues is sure to inject those warm and cozy vibes to your space. From saturated jewel tones, to deep and moody hues, here are this season’s 6 hottest paint colors that will bring fall into your home and keep your space feeling fresh. Blue painted walls transport you to a relaxed and serene space, which is why the paint color is popular for bedrooms and offices. This season though, deep, moody blue paint goes a long way in any room. The color has great depth and is gorgeous with contrasted furnishings and artwork. The hue also makes any space feel more intimate and cozy, even if it’s a room lacking in natural light. Red may not be a paint color on your list, but it should be. Rich, moody marsala red has an energizing quality to it that makes it an ideal color for statement walls or rooms in need of pizazz. The deep tone of marsala red can blend well with the season’s earthy colors, adding a sophisticated element, for a cozy yet elevated aesthetic. We’ve talked about how millennial pink is the year’s color of the moment. 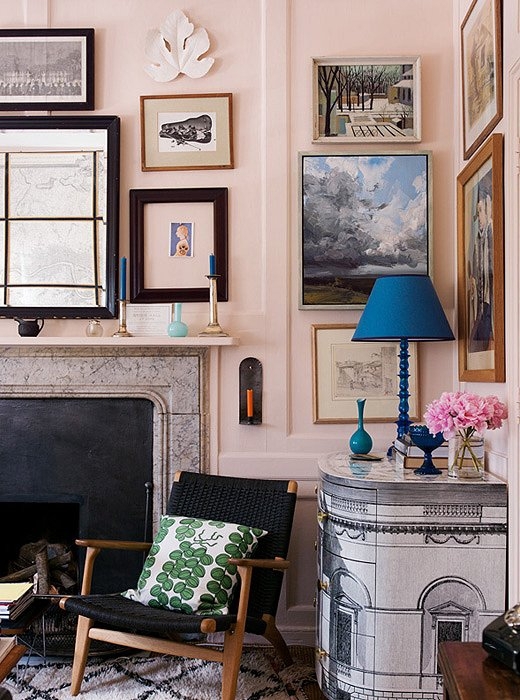 This season, the elegant and eye-catching pastel hue works as a go-to neutral paint color. No longer solely relegated to the nursery room, dusty pink can brighten and refresh just about any room in your home, giving your space added flair and vibrancy. We love the natural allure of deep green walls. Serene and sophisticated, hunter green is a reminder of autumn’s natural tones and works as the perfect backdrop for a holiday gathering or a cozy night-in. 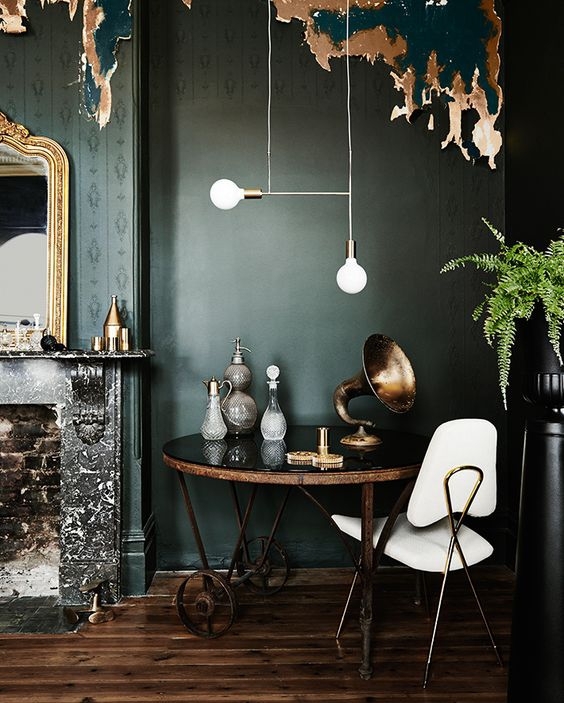 Contrast hunter green walls with brass materials for an even more luxe look—the results will be rich in color and absolutely stunning. Nothing says bold like black walls. To prevent your home from feeling one-note this fall, try painting a door, a wall or an entire room matte black. The color oozes with moody sophistication that easily takes your space to the next level. Plus, it looks amazing with every color palette. Decorative items in the natural shades of fall leaves or monochromatic pairings go well against this statement-making fall-to-winter backdrop. Whether you want to create a serene bedroom escape or a sophisticated living room, warm grey walls create a classic and elevated look that pairs well with every style. Perfect for stark black and white palettes or industrial rooms, a warm grey coat of paint can give an otherwise harsh set-up a cozy, autumnal feel. Ready to get your home prepped for fall and winter? Start a today and transform any room into a cozy hideaway or sophisticated holiday gathering space. It’s simple, affordable and completely online. It's time to get started! Happy Decorating!